Why does a female hero in Star Wars: Rogue One upset people so much? Not everyone was excited to see the Rogue One: A Star Wars Story teaser trailer launch this morning. 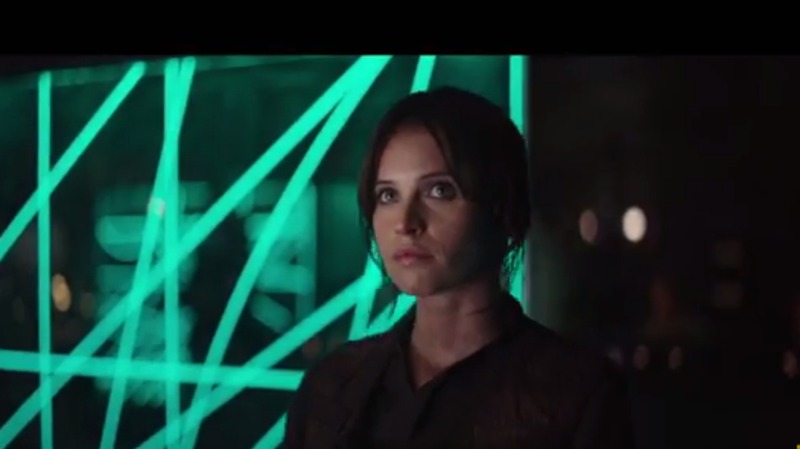 The problem was a female lead, rebel fighter Jyn Erso, played by Felicity Jones. For many online critics, it’s disturbingly hard to process another female lead immediately after the franchise cast one this winter with The Force Awakens. Overzealous Star Wars fans took to Twitter to blast their misogyny at the franchise. “I guess every Star Wars will have a female lead now, even Han Solo will be a woman in his movie,” wrote one commenter. Another one claims the only reason the film would have a female lead is for political correctness. If you can't handle a female lead in a Star Wars flick, then perhaps the 21st century just isn't for you. Amazing to see that Star Wars episode VIII : Rogue One is going to have a female lead! Felicity jones at that! About bloody time! The debate is sure to heat up as we get closer to Rogue One‘s December release. Will the film still gross millions of dollars even with a — gasp — female lead? Something tells us it’ll do just fine.